How clean is your tap water? How does lead get into my tap water? Measures taken during the last two decades have greatly reduced exposures to lead in tap water. These measures include actions taken under the requirements of the 1986 and 1996 amendments to the Safe Drinking Water Act (http://www.epa.gov/sdwa) and the U.S. Environmental Protection Agency’s (EPA’s) Lead and Copper Rule (http://www.epa.gov/dwreginfo/lead-and-copper-rule). Even so, lead still can be found in some metal water taps, interior water pipes, or pipes connecting a house to the main water pipe in the street. 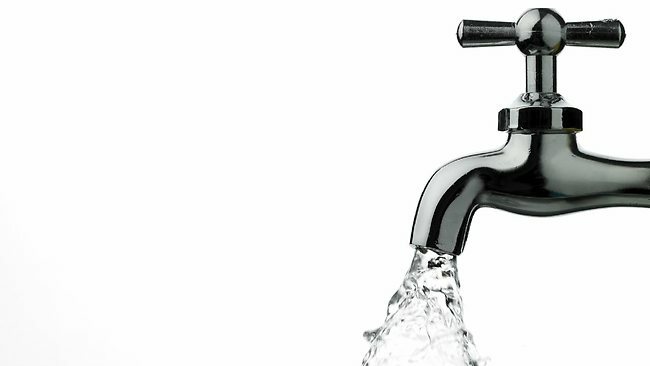 Lead found in tap water usually comes from the corrosion of older fixtures or from the solder that connects pipes. When water sits in leaded pipes for several hours, lead can leach into the water supply. How do I know if my tap water is contaminated with lead? The only way to know whether your tap water contains lead is to have it tested. You cannot see, taste, or smell lead in drinking water. Therefore, you must ask your water provider whether your water has lead in it. For homes served by public water systems, data on lead in tap water may be available on the Internet from your local water authority. If your water provider does not post this information, you should call and find out. Does a high lead level in my tap water cause health effects? High levels of lead in tap water can cause health effects if the lead in the water enters the bloodstream and causes an elevated blood lead level. Most studies show that exposure to lead-contaminated water alone would not be likely to elevate blood lead levels in most adults, even exposure to water with a lead content close to the EPA action level for lead of 15 parts per billion (ppb). Risk will vary, however, depending on the individual, the circumstances, and the amount of water consumed. For example, infants who drink formula prepared with lead-contaminated water may be at a higher risk because of the large volume of water they consume relative to their body size. What can I do to reduce or eliminate lead in my tap water? If your tap water contains lead at levels exceeding EPA’s action level of 15 ppb, you should take action to minimize your exposure to the lead in the water. 1. Does my water have lead in it above EPA’s action level of 15 parts per billion (ppb)? If the answer is no, no action is needed. 2. Does the service pipe at the street (header pipe) have lead in it? This information is very important. It determines which of the next two actions (A or B) you should follow to protect your household’s health. b. Then, fill a clean container(s) with water from this tap. This water will be suitable for drinking, cooking, preparation of baby formula, or other consumption. To conserve water, collect multiple containers of water at once (after you have fully flushed the water from the tap as described). c. Fill a clean container(s) with water from this tap. This water will be suitable for drinking, cooking, preparation of baby formula, or other consumption. To conserve water, collect multiple containers of water at once (after you have fully flushed the water from the tap as described). 3. In all situations, drink or cook only with water that comes out of the tap cold. Water that comes out of the tap warm or hot can contain much higher levels of lead. Boiling this water will NOT reduce the amount of lead in your water. 4. You can also reduce or eliminate your exposure to lead in drinking water by consuming only bottled water or water from a filtration system that has been certified by an independent testing organization to reduce or eliminate lead. See resources below. 5. Children and pregnant women are especially vulnerable to the effects of lead exposure. Therefore, for homes with children or pregnant women and with water lead levels exceeding EPA’s action level of 15 ppb, CDC recommends using bottled water or water from a filtration system that has been certified by an independent testing organization to reduce or eliminate lead for cooking, drinking, and baby formula preparation. Because most bottled water does not contain fluoride, a fluoride supplement may be necessary. Also, some bottled waters have not been tested and may not be appropriate for consumption. Contact independent testing organizations that certify bottled water. See resources below. 6. Make sure that repairs to copper pipes do not use lead solder. Advice for lead safe water practices after plumbing work in housing with lead water lines or lead solder. Testing water after plumbing work in older housing. Please contact your state lead program for information about water testing in your area. Inspecting the aerator on the end of the faucet and removing any debris such as metal particles. Flushing water lines before using the water for drinking or cooking. If you own your home, you may also consider full replacement of lead water lines by removing the private lines running from the water meter into your home. This precaution has not been adequately studied, however, because the data available to CDC included too few homes having had full replacement of lead water lines. Contact your water authority for information about replacing water service lines. If my water has high lead levels, is it safe to take a bath or shower? Yes. Bathing and showering should be safe for you and your children, even if the water contains lead over EPA’s action level. Human skin does not absorb lead in water. This information applies to most situations and to a large majority of the population, but individual circumstances may vary. Some situations, such as cases involving highly corrosive water, may require additional recommendations or more stringent actions. Your local water authority is always your first source for testing and identifying lead contamination in your tap water. Many public water authorities have websites that include data on drinking water quality, including results of lead testing. Links to such data can be found on the EPA website: http://www.epa.gov/ccr. Blood Lead Levels in Residents of Homes with Elevated Lead in Tap Water—District of Columbia, 2004. MMWR. April 2, 2004; 53(12):268-270. Addendum: After release of the MMWR article titled “Blood Lead Levels in Residents of Homes with Elevated Lead in Tap Water — District of Columbia, 2004,” some reports have suggested erroneously that CDC determined that lead in residential tap water at concentrations as high as 300 parts per billion is ‘safe.’ CDC reiterates the key message from the 2004 article: because no safe blood level has been identified for young children, all sources of lead exposure for children should be controlled or eliminated. Lead concentrations in drinking water should be below the EPA action level of 15 parts per billion. EPA – Drinking Water Requirements for States and Public Water Systems and information on chemical and microbial contaminants. Safe Drinking Water Hotline: 1-800-426-4791. Water Fluoridation: CDC – Community Water Fluoridation fact sheets, frequently asked questions, and publications. NSF International, a nonprofit organization that certifies bottled water and water filters. Consumer Affairs Office toll-free hotline: 1-800-673-8010.
International Bottled Water Association, the trade association that represents the bottled water industry. Information Hotline: 1-800-WATER-11. From Centers for Disease Control and Prevention.